The Holidays are over and we’re back plodding through seemingly never ending weeks of work. Maybe you’re lucky enough to be going on a tropical vacation soon, but the rest of us Canadians have no warmth in sight. It’s time for comfort in a major way. Warm blankets, soups, bread pudding. Brown liquors, fires, hot chocolate. 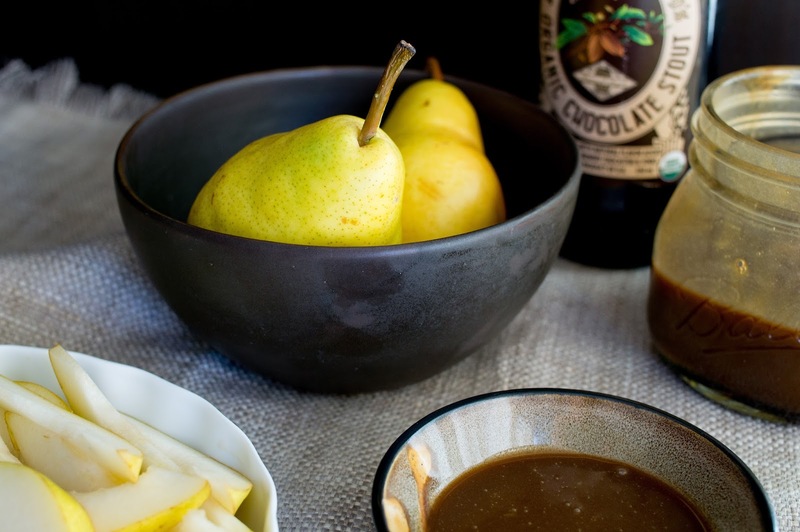 Thick, golden caramels and deep, dark, chocolatey stouts. 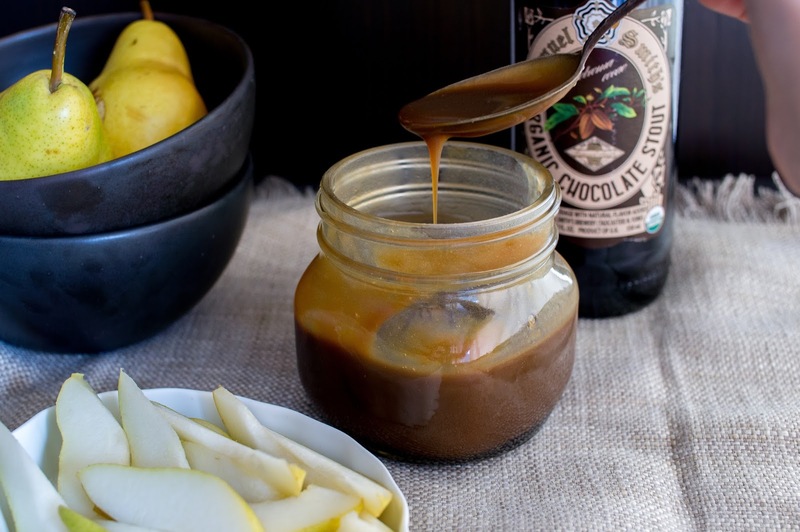 You need this chocolate stout caramel sauce in your fridge for those grey and gloomy days. Watching it drizzle from a spoon is mesmerizing. Use it to top anything you want! Put a spoonful in your morning oatmeal because it’s winter and you didn’t want to get out of your cozy bed. 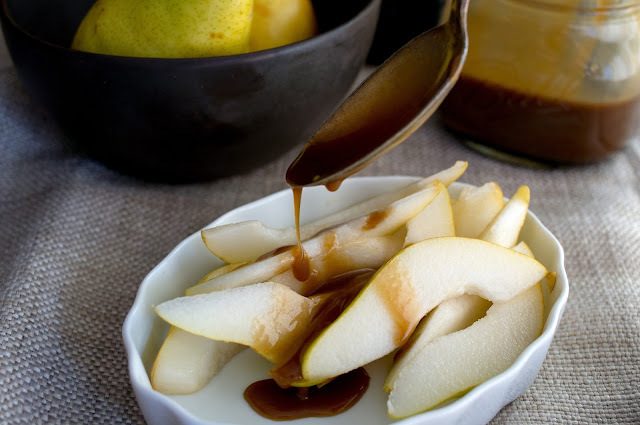 Drizzle it on crostini with ricotta and thinly sliced apples or pears because you’re fancy in your giant sweater and sweatpants. Pour it over vanilla ice cream or cheesecake. 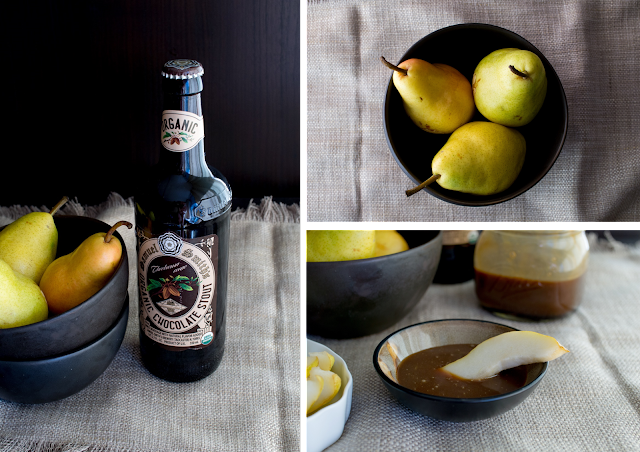 If the stout you chose comes in a larger bottle, definitely drink the leftovers. And don’t worry, the longer it’s cold, the longer you have an excuse to make this. 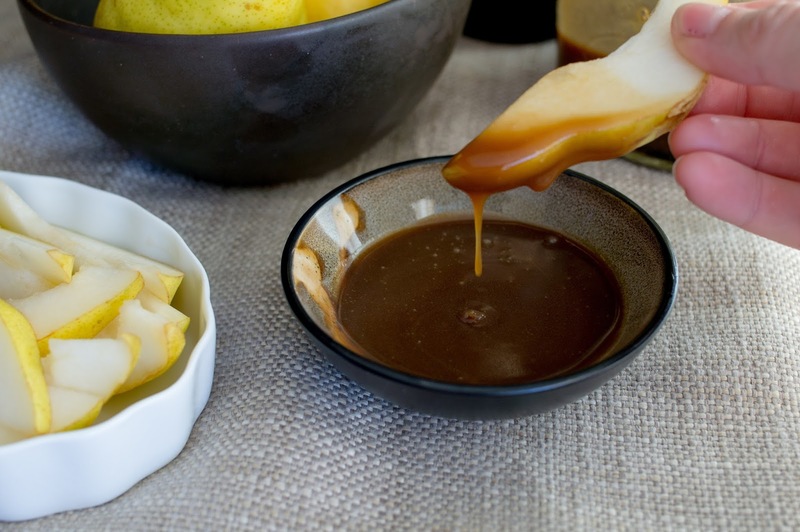 In a medium saucepan, cook stout, butter, and brown sugar over medium heat until mixture reaches 225F on a candy thermometer. If you don’t have a candy thermometer wait until the mixture is thick like syrup or forms thin threads when dripped into some ice water. Remove from heat and add in whipping cream, stirring constantly until incorporated. Put back on the heat and cook until the sauce coats the back of a spoon, about 10 minutes or longer depending on the stout you used. Stir in salt and vanilla. Store in a jar in the fridge. Drizzle over fruit, ice cream, bread pudding, cheesecake, anything!